The link between the arts and improved mental well-being is one which more professionals and volunteers are experiencing firsthand in the UK, and will be celebrated at the first national Arts in Health Conference and Showcase. Christmas spirit is filling the TRO offices at the moment as we get ready to wrap up for the holiday – not before the Ha’Penny and Penny Readings, of course. 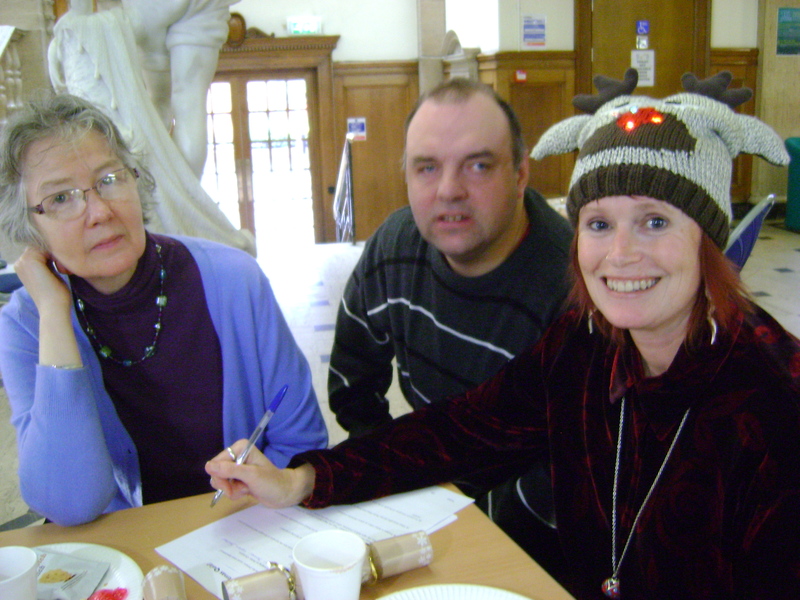 This afternoon sees our staff Christmas party at Head Office in Calderstones Mansion House, but we’ve already been getting into the festive mood by celebrating with our Readers and volunteers in Liverpool, London and Wirral over the last few weeks. 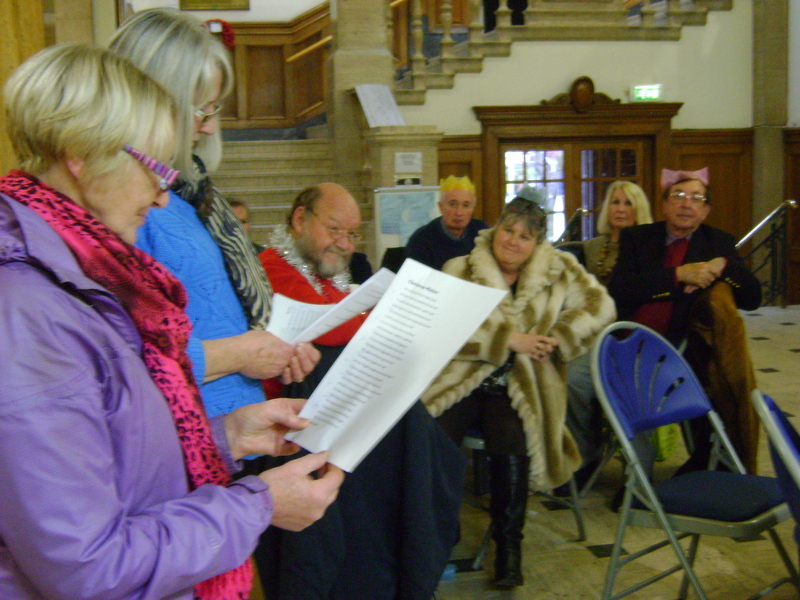 We can safely say that a very merry time was had by all at each of the parties, combining two quintessentially Readerly pastimes – reading and food – in copious amounts, and we’d like to say a big thank you to everyone involved in arranging and who came along to our Christmas celebrations around the country. 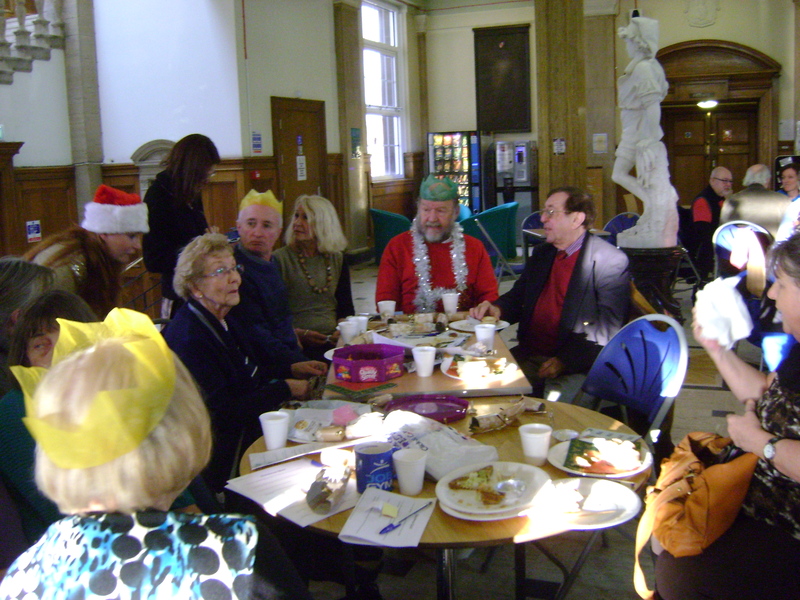 Below are a few pictures from our Christmas party in Wirral, which took place at Birkenhead Central Library last week. Of course the festive season is the perfect time for catching up on reading, and our Readers may be interested to know about a special city-wide reading project that is happening over Christmas. City of Readers and BBC Radio Merseyside are reading Private Peaceful by Michael Morpurgo, and on Friday 16th January at 1pm the book will be discussed on a live phone-in segment on BBC Radio Merseyside. If you’ve ever wanted to appear on the radio and share your views about a great piece of literature to a regional audience, now’s your chance! All you need to do is read the book over the Christmas period – copies are available in libraries across Liverpool – and tune in on 16th January to enjoy a great read together with the rest of the city. Author LisaPosted on 19th December 2014 Categories Authors, Books, Campaigns, Christmas Reading, Events, Fiction, Liverpool, Liverpool City of Readers, Merseyside, News, Reading for pleasure, Recommended Reads, Shared Reading, The Reader, Uncategorised, WirralTags BBC Radio Merseyside, Birkenhead Central Library, Christmas, City of Readers, Michael Morpurgo, Private Peaceful, RadioLeave a comment on Seasons Readings! This week’s edition of Open Book on BBC Radio 4 was a treat for literature lovers, featuring an interview with Pulitzer Prize winning author Marilynne Robinson about her new novel Lila, the long anticipated third book in her bestselling series set in the fictional town of Gilead (following on from Gilead and Home). 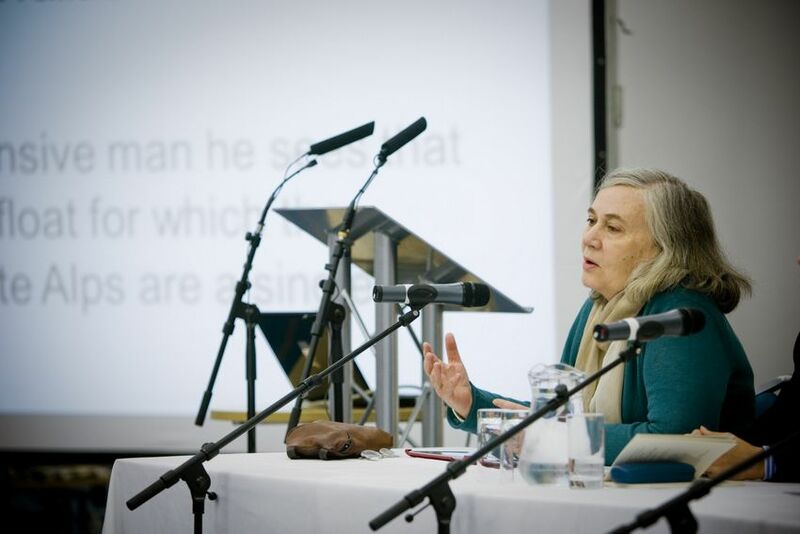 Certainly many of us at The Reader Organisation are big fans of Marilynne Robinson and her work, and became even more so when she joined us as a guest speaker at our second ever Conference in New Brighton in 2011, with some lucky enough to spend an evening in the company of the author at Blackburne House beforehand. The feature included input from Professor Rhiannon Corcoran from University of Liverpool who talks about her special interest in the practice of shared reading and one of our trustees Dr Shyamal Mukherjee, Medical Director of NHS Wirral, identifying the benefits shared reading can provide to people’s health and wellbeing, as well as contributing to increased social interaction on a unique and deeply emotional scale. Some of our reading group members could also be heard on the programme, discussing the in and outs of Dombey and Son as well as enjoying our very popular babies, toddlers and parents/carers reading group Tiny Reads. There can’t be too many other Grade II listed buildings in the country where you would find Dickens being read doors along from The Gruffalo on a Friday morning! Actor, broadcaster and beloved figure of British culture Stephen Fry is a keen supporter of the art of reading aloud (given the quote above straight from the man himself) and you’ll hear him take a closer insight at the practice on his latest radio programme – featuring input from some of our Readers. Fry’s English Delight is currently in its seventh series on BBC Radio 4 (Mondays), exploring the ‘highways and byways’ of the English language. In the next episode, Reading Aloud comes under the spotlight as Stephen investigates the art from Roman times right up to the present day. We’re delighted to be featured in the episode, to be broadcast on Monday 18th August at 9am (repeated at 9.30pm the same day), with some of our reading group members who were recorded as part of one of our groups at Calderstones Mansion House talking about the importance of reading aloud and what it means to them. If you’re a lover of the English language as well as literature, it’s an unmissable series – previous episodes have already covered the mysterious language of magic and the punishing business of proper nouns and capital letters. And don’t forget to make a date in your diary for Monday 18th August! Lear at the Mansion House: Tonight’s the Night! 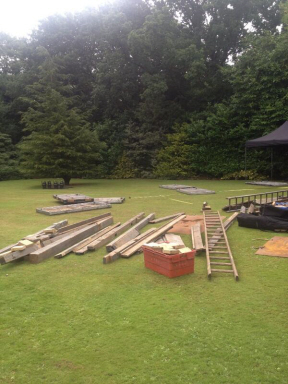 The day has arrived – tonight we’ll be bringing Shakespeare’s Globe’s production of King Lear to Calderstones. With only hours to go, the Mansion House and the Garden Theatre – which will be unveiled for the first time in 30 years for the show – is already a hive of activity, with the stage making its way in and being assembled as we speak. 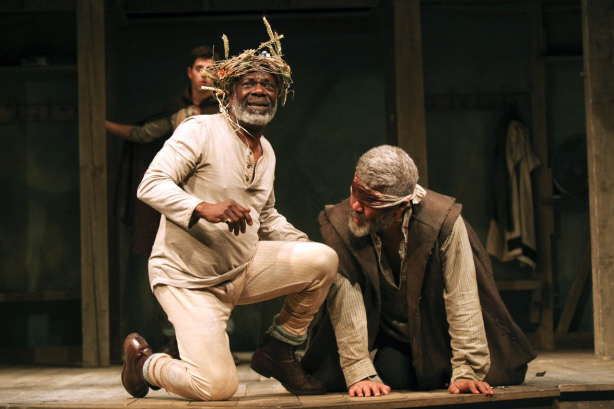 The whole of Liverpool is excited by the prospect of Shakespearian drama happening in the heart of the city, so it’s no surprise that the performances of Lear are completely SOLD OUT. There won’t be any extra tickets available on the door of the Mansion House tonight or tomorrow, so if you didn’t get one please don’t come along as we wouldn’t want to leave anyone disappointed. Performances begin at 7.30pm and are due to finish at around 10.30pm. There is very limited parking at the Mansion House so all attendees are advised to use public transport wherever possible for the journey to and from the show. If you do need to drive, please use public parking facilities (there are two small public car parks off Calderstones Road and Yewtree Road). Don’t forget to bring folding chairs, blankets and cushions to sit on and refreshments can be brought along (but alcohol is not permitted). We weren’t too pleased that the rain clouds gathered this morning, but fingers crossed for them to lift…just in case, don’t get caught out – dress appropriately for the outdoors, in warm and waterproof clothing. In the remaining hours, there’s just enough time to whet your appetite further. If you haven’t got a copy of Lear to hand don’t fret as we’ve got some interviews with the cast on our Facebook page to keep you excited – you can see Bethan Cullinane (Cordelia/Lear’s Fool) chatting about her favourite scene, Ruth Everett (Goneril/Curan) telling us what it’s like to perform out of doors and King Lear himself, Joseph Marcell, attempting to sum up the play in just one sentence – it’s a tricky job… Joseph also spoke to the Liverpool Echo last week about the prospect of performing at the Garden Theatre and in Liverpool after being away for over 30 years. If you didn’t manage to get your tickets for Lear, don’t be disappointed as you can still enjoy lots of great activities at Calderstones over the summer. Listen to Reader Places Manager Sophie Povey and Creative Coordinator Roisin Hyland talking to Sean Styles on BBC Radio Merseyside (around 1 hour and 30 mins in) about everything that’s coming up at the Mansion House, including our Summer Fair on Saturday 31st August. Stay tuned to Twitter for all the info coming from #Lear at the Mansion House – follow us on @thereaderorg and @CaldiesMansion. There’s nothing left to say except enjoy the show – and we’ll see you there! 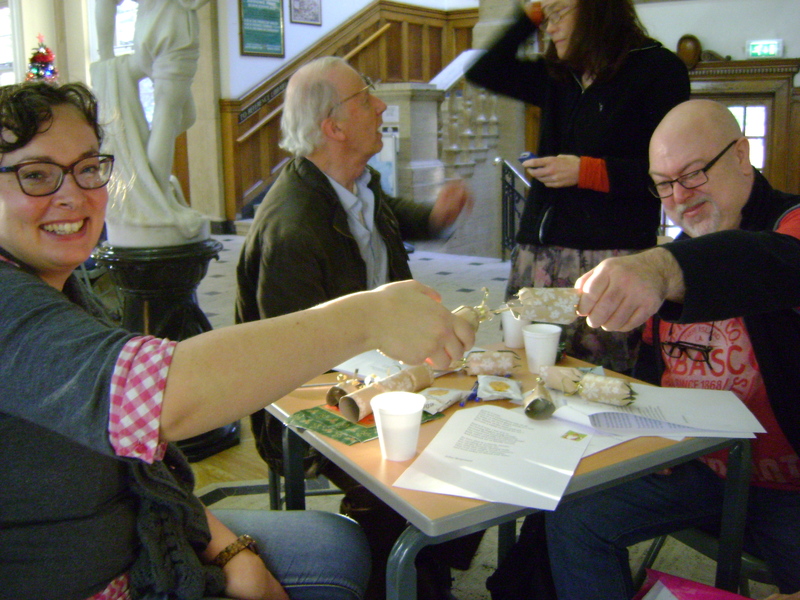 Author LisaPosted on 13th August 2013 Categories Calderstones, Events, Liverpool, Merseyside, News, The Reader, Theatre, UncategorisedTags arts, Bethan Cullinane, Calderstones, Calderstones Mansion House, Joseph Marcell, King Lear, Liverpool, Radio, Ruth Everett, Shakespeare's Globe, theatre, Video1 Comment on Lear at the Mansion House: Tonight’s the Night! 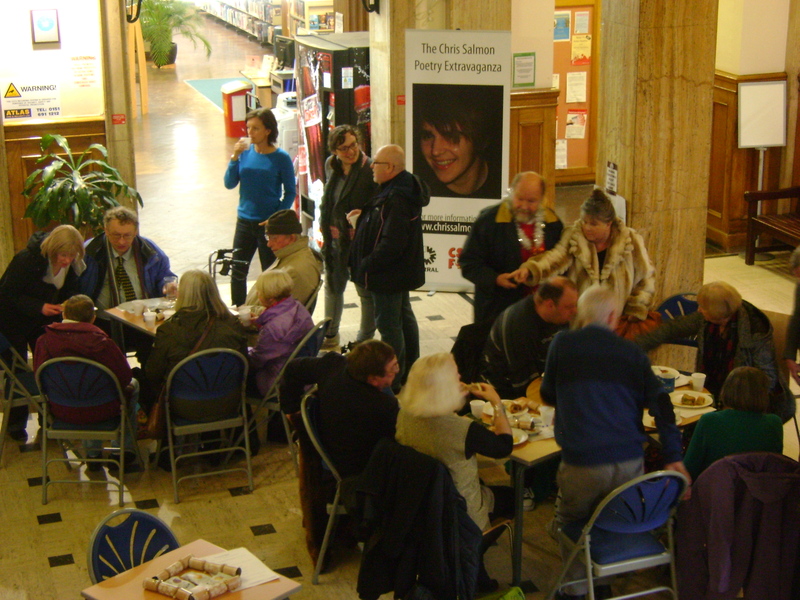 The Reader Organisation’s South West contingent is continuing to grow at an ever-rapid pace, and now shared reading in the South West has hit the airwaves as well in community groups across the area. Get Into Reading South West Project Manager Sarah Hopkins appeared on BBC Radio Devon’s The Late Show last night (Thursday 18th October). 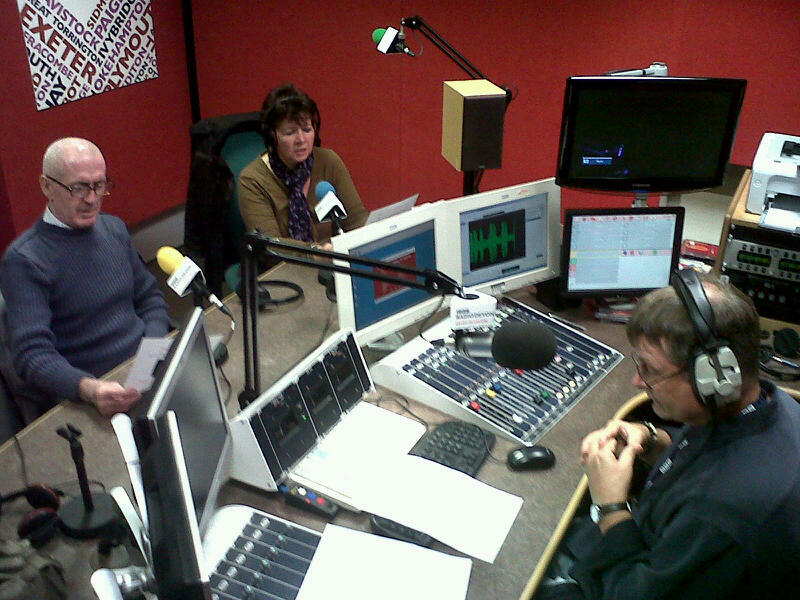 Sarah shared I Do Not Love Thee by 19th century poet Caroline Norton on air with presenter Vic Morgan, as well as talking about the impact Get Into Reading is making on its members, including Plymouth Central Library group member Mark Darley, who joined Sarah in the studio. If you tuned in and found yourself wanting to know more about shared reading in South West England and in particular how to get involved in getting shared reading into your community, then you’re in luck as there are still a few places available on our latest open Read to Lead course, which just happens to be running in Devon, in the beautiful surroundings of Dartington Hall between 29th-31st October. People love it; it lifts them, amuses and stimulates them, calms them and gives them something meaningful to think and talk about with others. The three-day intensive, stimulating and inspiring course will begin your journey into the world of shared reading, deliver the follow-up continuing learning offers, and provide the confidence and competence needed to get started as a shared reading practitioner. For more information on Read to Lead Devon and to book your place, contact Roisin Hyland, Training Coordinator on roisinhyland@thereader.org.uk or call 0151 207 7207. If you missed Sarah and Mark on BBC Radio Devon and Cornwall, don’t worry as you can listen again over the next week on the BBC Radio Devon website through iPlayer – 1 hour 20 minutes in. It’s the last week of the summer holidays and it’s just a bit miserable out there, so what better way to spend an afternoon than sharing stories and getting creative? 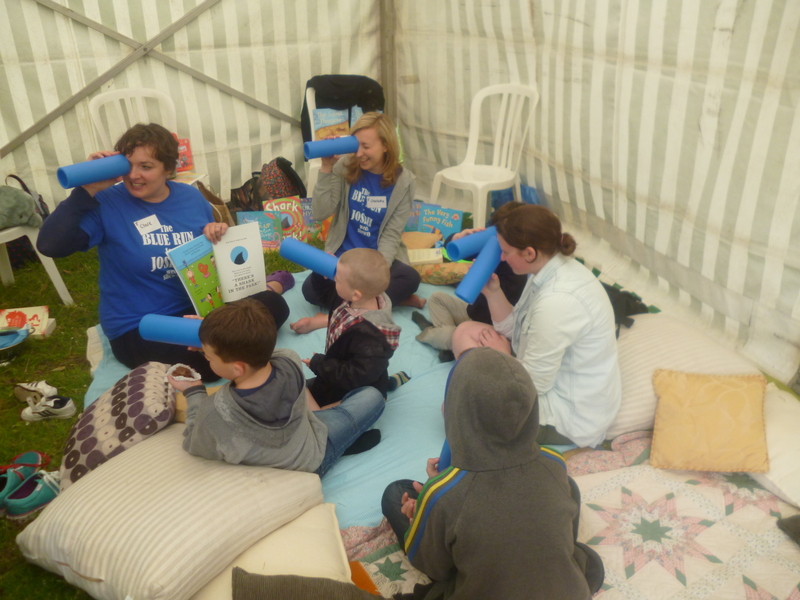 The Reader Organisation is hosting the FREE event, ‘Tall Tales for Little Children’ in association with Up for Arts at Radio Merseyside tomorrow (Thursday 30th August) from 2-4pm. Children aged 6-10 are welcome to come along with a carer to listen to stories and poems from A Little, Aloud for Children to get their imaginations racing for some crafty activities. You can book your place by calling Radio Merseyside’s A Team on 0151 794 0984. Why not head over to our A Little, Aloud for Children blog to hear from TRO staff, two of our young readers, and two of the student illustrators whose work features in the book, all of whom have been live on the airwaves this week to talk about their love of reading. Have you got your copy of A Little, Aloud for Children yet? If not, what are you waiting for?! Why not visit the special A Little, Aloud for Children blog to find out more about the book itself. To get you in the mood for reading great stories and poems aloud, you can listen to 12 year old Tina reading an extract from David Almond’s The Savage live on Radio Merseyside. She appeared on the Breakfast Show with Lynn, one of our Young Person’s Project Workers, to explain why she loves reading. You can listen again here (Tina and Lynn appear 2 hours and 25 minutes in). 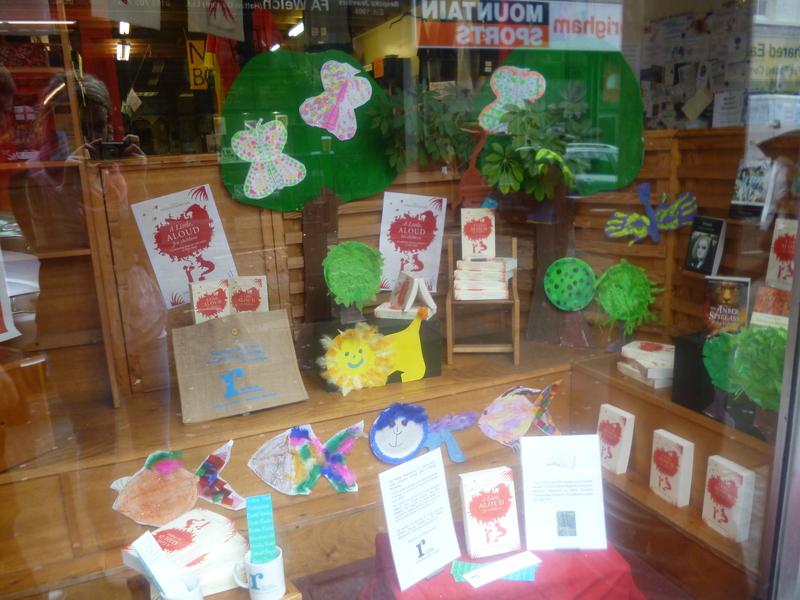 If you’re in Liverpool, take a walk down Bold Street and have a peep through the window of one of our favourite bookshops, News from Nowhere; you might just see an enchanted forest, full of artwork made by the under-5s from our Magical Storytime group in Everton. Better yet, if you go into the store you will find plenty of copies of A Little, Aloud for Children so you can recreate the magic for yourself. Also in Liverpool, the editor of A Little, Aloud for Children, Angela Macmillan, will be discussing and reading aloud from the book as part of the Lunchtime Classics series at Waterstones in Liverpool One. She’ll be appearing at 12pm on Tuesday 19th June if you’d like to go along – find out more here. Don’t forget that we want to hear from you! Tell us what your favourite bits are, who you’re reading them with and where you’re reading them over on the A Little, Aloud for Children blog. Radio 4 Book of the Week: Stop What You’re Doing and Read This! Instead of a Recommended Read, this week we have a Recommended Listen! Keen Readers should tune into Radio 4 next week, as Stop What You’re Doing and Read This! has been chosen as Book of the Week. This new collection of essays from Vintage Books is a funny and inspiring mission statement about the transformative power of reading; the tangible impact it can have on our wellbeing and its importance as a fundamental part of our existence. Five of the ten essays have been adapted for the radio, including those by Michael Rosen, Jeanette Winterson, and Mark Haddon. The book itself contains a contribution by The Reader Organisation’s Jane Davis, sharing her passionate belief in improving lives through literature and spreading the message of the Reading Revolution. Don’t forget to join the conversation on the Stop blog where you can share reading recommendations, discuss the future of the book, and much more. Jane herself has just posted a piece: ‘To Go Forward, Go Back’. Already Number 1 on the Guardian Bookshop’s bestseller list, you can read her full contribution by buying your own copy here. Book of the Week: Stop What You’re Doing and Read This! Radio 4, 9th-13th Jan, 9:45am and 00:30am. Author troadminPosted on 6th January 2012 16th February 2017 Categories Authors, Books, Health, Well-being & Community, Recommended ReadsTags Radio2 Comments on Radio 4 Book of the Week: Stop What You’re Doing and Read This! 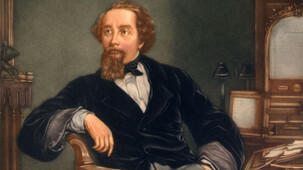 If the Penny Readings and Evening Read-In have whetted your appetite for hearing Dickens read aloud, then be sure to listen to BBC Radio 3’s The Verb tonight at 10pm. Along with special guests including Charles Dance and Rachel Rose Reid, Ian McMillan celebrates the art of reading Dickens aloud in the run-up to his bicentenary. As fans of the Reader Organisation will be well aware, Dickens regularly performed his work to audiences of 2000 people (including here in our very own St George’s Hall). Malcolm Andrews, editor of the Dickensian Magazine, will be analysing why Dickens’ language works so well in performance, something ably demonstrated by David Morrissey and Phil Davis at our very own event on Sunday night. Tune in live tonight, or listen again here if you miss it: http://www.bbc.co.uk/programmes/b017t37w.